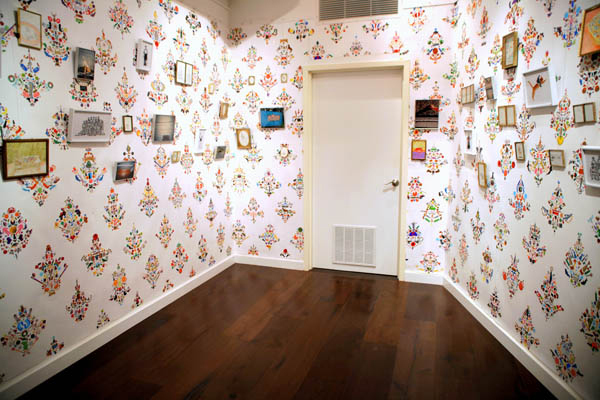 Another great visionary in wallpaper. 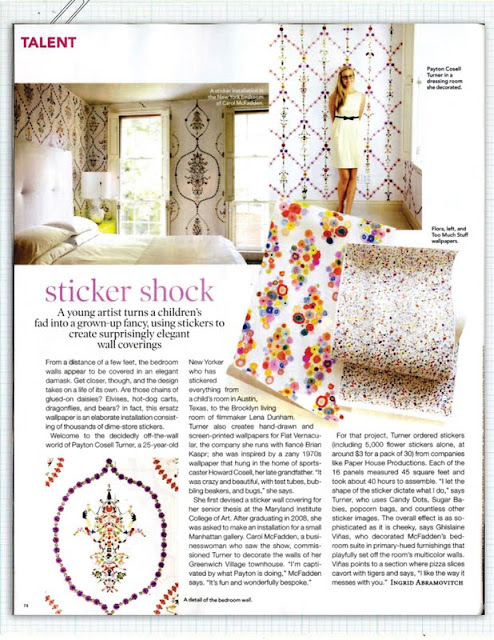 As seen in the September issue of Elle Decor, Payton Turner uses tiny stickers to create elaborate wallpaper patterns. 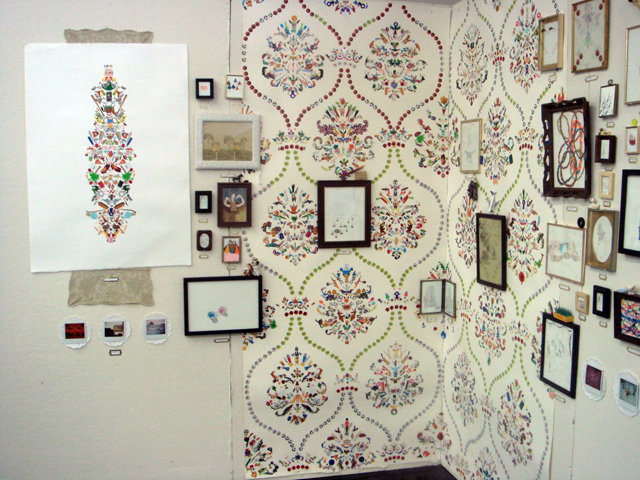 Very bespoke work!